OUAI fanatics are in luck. 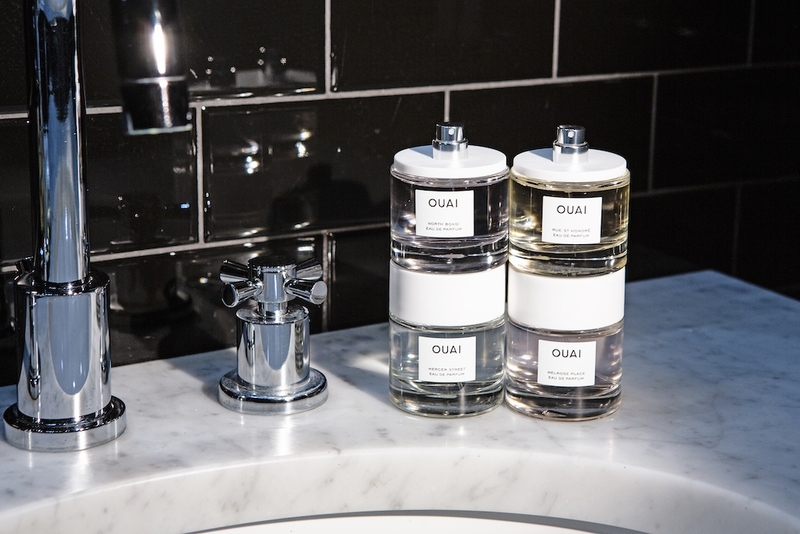 OUAI's signature scents are now available in a full-size fragrance—Jen Atkin has launched full-size Eau de Parfums in all of your favorite OUAI smells—and a few new ones. North Bondi is one of the new fragrances—Ouai No2. This beautiful floral fragrance contains notes of Bergamot, Italian Lemon, Rose De Mai, Violet, and White Musk. The LA scent, Melrose Place or Ouai No5, is a velvety rich rose fragrance with hints of Bergamot, Lychee, Cedar-Wood, and White Musk. Mercer Street, or Ouai No1, is an outspoken and muse-worthy fragrance with provocative notes of Italian Lemon, Turkish Rose, Jasmine Sambac, Iris, Lily, and White Musk. And finally Rue St. Honoré—Ouai No4—is a France-inspired fragrance that combines seductive notes of Violet, Gardenia, Ylang Ylang, and White Musk for a sophisticated and feminine floral fragrance. As always, OUAI’s products are free from Parabens and never tested on animals. Atkin, never one to miss a detail, ensured the gorgeous scents are as beautiful to look at as they are to smell. The imagery is effortless and modern, much like the OUAI brand. You won’t know whether to Instagram them or spray them - we recommend doing both.